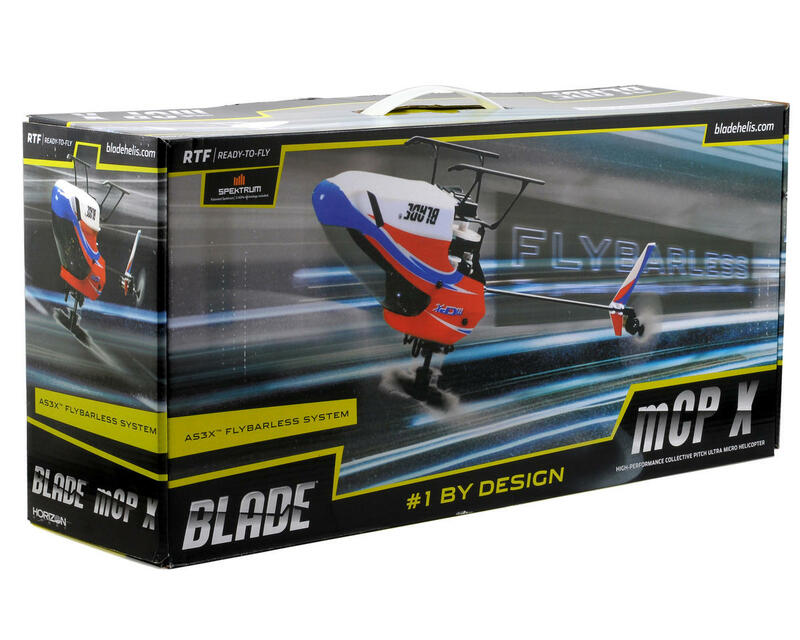 This is the Blade mCP X RTF Electric Micro Helicopter. The Blade® mCP X takes ultra micro performance and engineering to a whole new level. Its revolutionary AS3X™ flybarless system, the most advanced on any ultra micro heli, delivers controlled cyclic response that is second to none. This, combined with the exceptionally small, lightweight mCP X airframe makes it possible to precisely fly extreme aerobatics in spaces no larger than a living room or conference room. 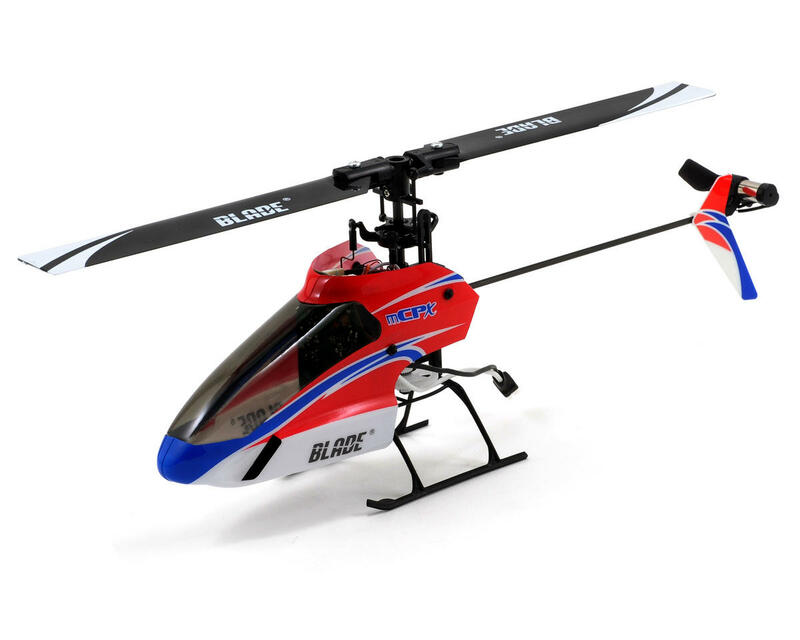 This helicopter will give transitioning pilots a more agile and capable collective pitch heli that will give them the confidence to master indoor aerobatics without the hesitance that comes with a larger outdoor only platform. Not to mention the cost makes it much more economical when learning. Using an integrated Flybarless system, the heli gets up in the air without a mechanical flybar. The benefit of this system is reduced drag on the main rotor head. This results in more power, longer flight times, and the best of both worlds between stability and agility. It comes out of the box 100% factory built and equipped with a factory-installed Flybarless 3-in-1 Control Unit with Spektrum 2.4GHz DSM2 receiver, ESCs, and gyros. 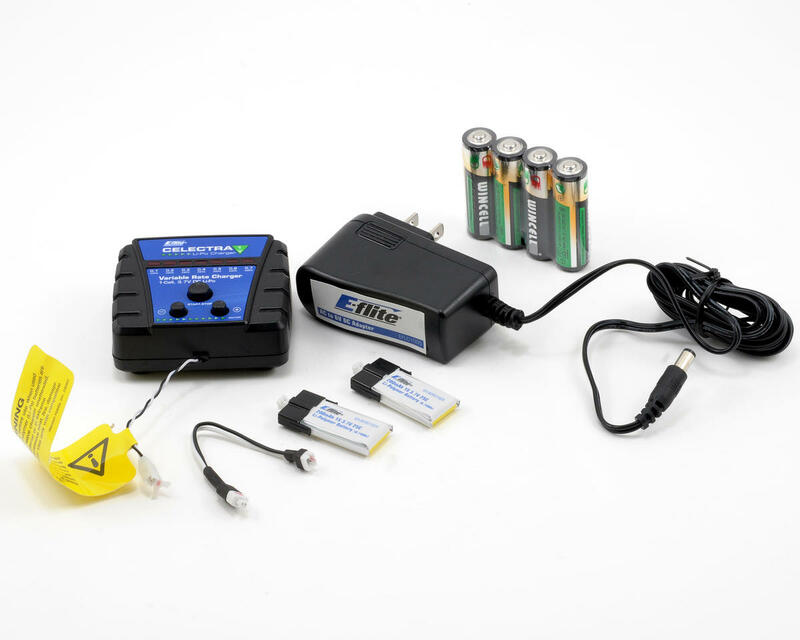 This ready-to-fly version includes a Spektrum DX4e 2.4GHz DSM2 transmitter, two 1S 200mAh 25C batteries, a single port charger with AC adapter and a 1S High Current Ultra-Micro Battery Adapter Lead. 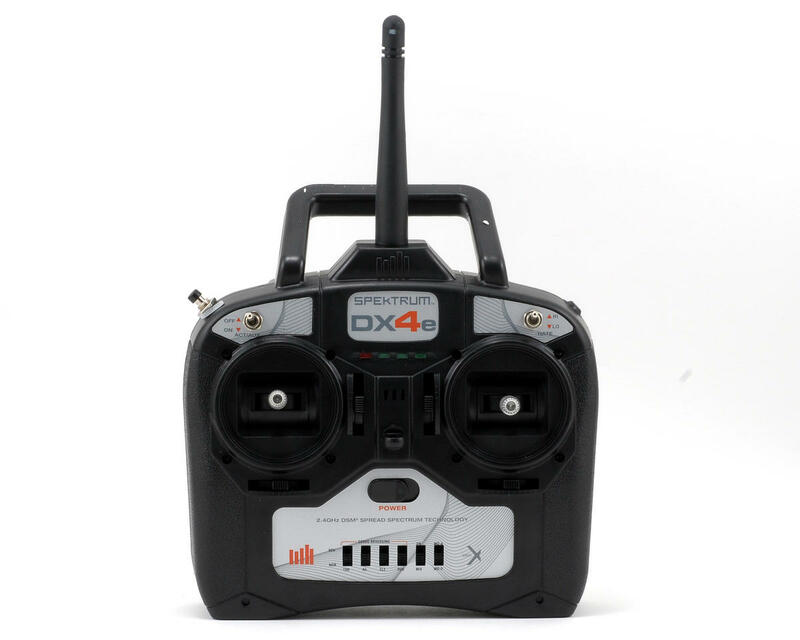 The DX4e has been designed to be used exclusively with the mCP X and has specially incorporated software that allows you to switch back and forth between flight modes. AS3X™ Digital Flybarless System Integrated flybarless unit increases stability, control and power, providing the user the ultimate ultra-micro heli experience for indoor and outdoor use. Capable of maneuvers such as inverted hover, loops, flips, rolls, funnels, and hurricanes. Very low disc loading results in high maneuverability and good collective response. Lightest heli in its class. 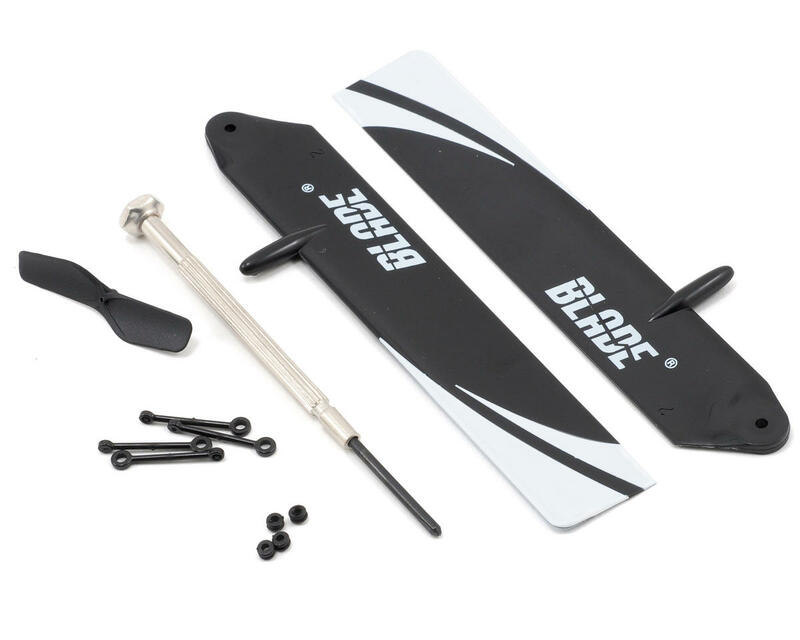 Two sets of blades included, fast-flight and high-performance. Robust, long-lasting dual-ball bearing supported linear cyclic servos. Two high-performance flight batteries included. No additional equipment is required to complete your Blade mCP X! Thi bird is awsome! I fly hard 3d and love this thing. I even bought a second for my buddy. This is the best 3d trainer ever sold!well worth the money! As long as I hit throttle hold. It's a blast and a great value. Es un excelente helicoptero, vuela en exterior con bastante viento, resistente a los golpes, las refacciones muy baratas, y es perfecto para enseñarte a volar en modo 3D. Recomendacion volarlo en pasto.